Here at Dennis Dillon RV, we’re pleased to offer 618 RVs for sale in our Boise, ID location. Whether you’re headed to campgrounds in Salt Lake City, UT, or you’re simply looking to full-time in Boise, ID, our vast inventory of 618 RVs will surely offer something you’ll enjoy. If you need a small Class B, B+, or C, we’ve got you covered! Or, if you’re looking for a big and burly Diesel Pusher Class A RV, we’ve got plenty in store as well. Explore our inventory of RVs in our Boise, ID location, before you take the drive from Meridian to experience true RV luxury for yourself. 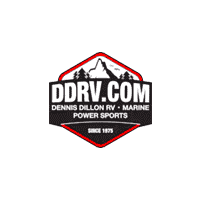 Why Buy from Dennis Dillon RV in Boise, ID? There are plenty of reasons why campers in Salt Lake City, UT and Seattle, WA choose Dennis Dillon RV for their next camping adventure. Our vast inventory of vehicles is but one obvious reason. Another is that we’re a firm fixture in the Boise, ID, area – that’s perhaps why our customers laud our excellent service. We emphasize a no hassle, no haggle experience; we simply want Meridian adventurers to find the best recreational vehicle that works for them. So whether you’re looking for a Weekend Warrior or a Winnebago, we’ll be sure to accommodate. And if you find something in our Westminster, CA inventory that works better for your needs, we’ll ship it over to Boise, ID in a jiffy. All of these benefits are just in the sales process – but we’re here after your purchase, too. Our service department can touch up just about anything, and we’re here to provide ongoing RV tips and tricks. No need to wait – simply contact us today!